Boys with a sprinkler, nuns at a ball game, proud hunters with their quarry - this collection of over three hundred pictures dating from the earliest cameras to the mid-twentieth century offers a trip back in time. Peg Meier, award-winning former reporter for the "Star Tribune", also shares excerpts collected from diaries and letters that allow Minnesotans of ages past to comment on pine tree vistas, harvest bounty, and the weather, always the weather. 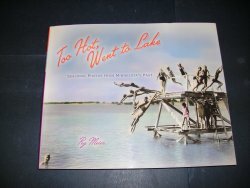 First published in 1993, the beloved "Too Hot, Went to Lake" promises a history of the state and its people that's easy to enjoy. 309pp.